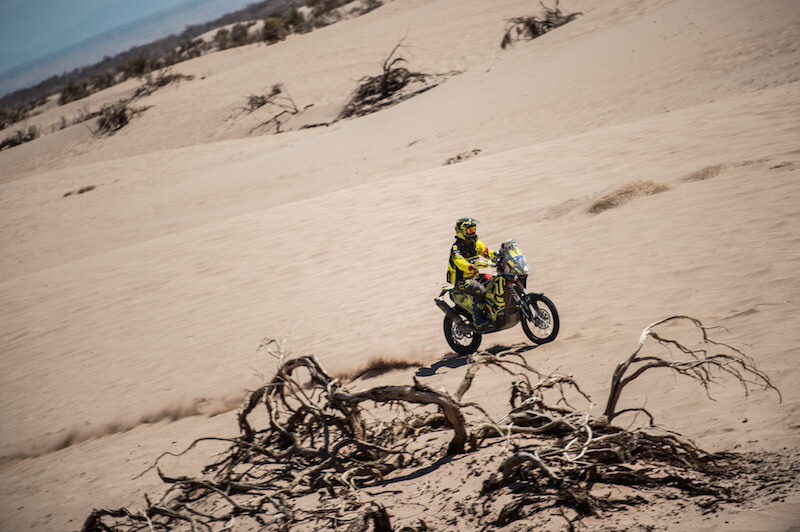 Regarding navigation, this stage meant very tough crossing to Bolivia with lots of sand-dunes at very high altitudes with a maximum above 4,000 m. The riders overcame the dunes in these altitudes with difficulties and any mistake involved a lot of effort due to less oxygen. Štefan got lost several times and he was slightly frustrated. 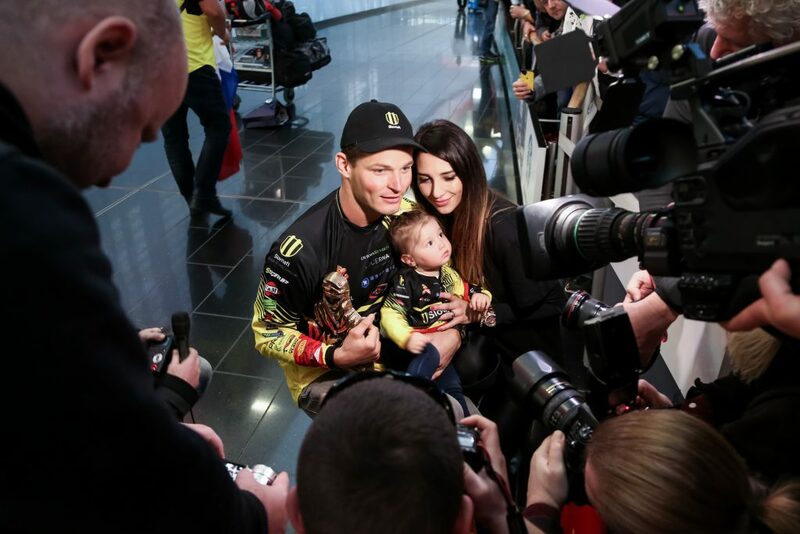 However, he had the fifth fastest time. Unfortunately, a few days later he (like many other riders) got a penalty of one hour for refuelling outside the permitted location. 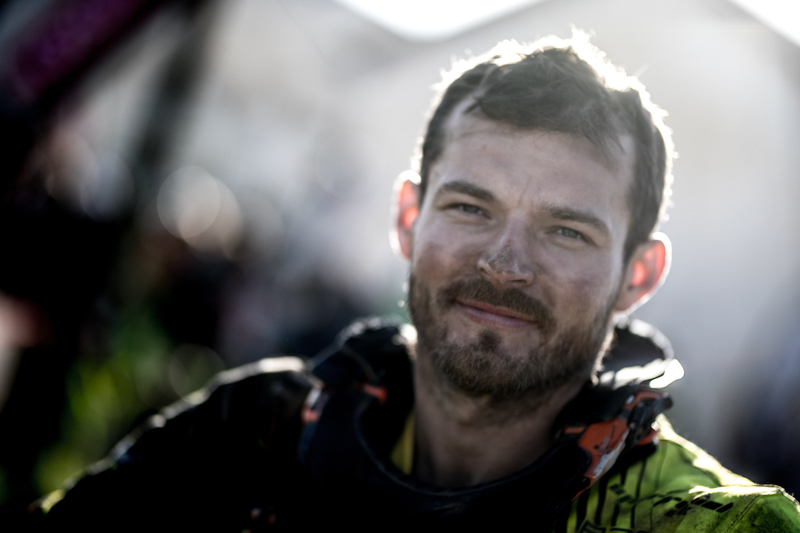 So, after penalizing, he placed 38th in the stage and 14th in the overall standings. 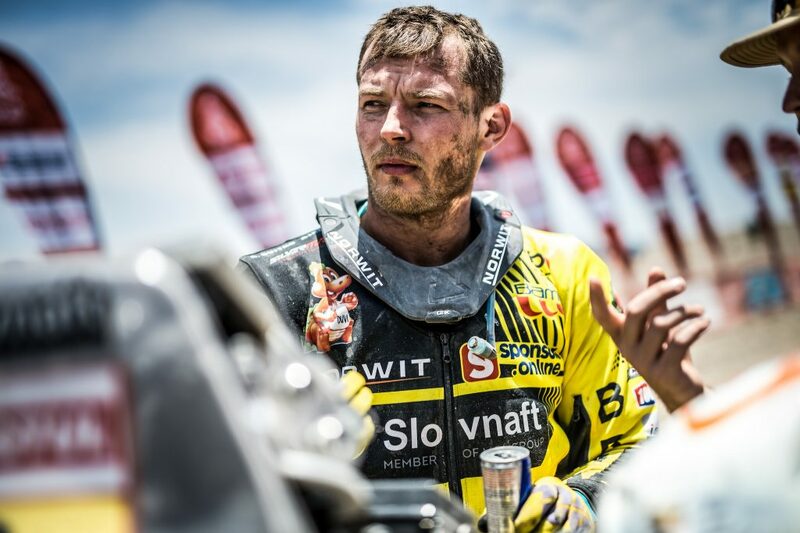 This stage was full of complications not only for Števo. 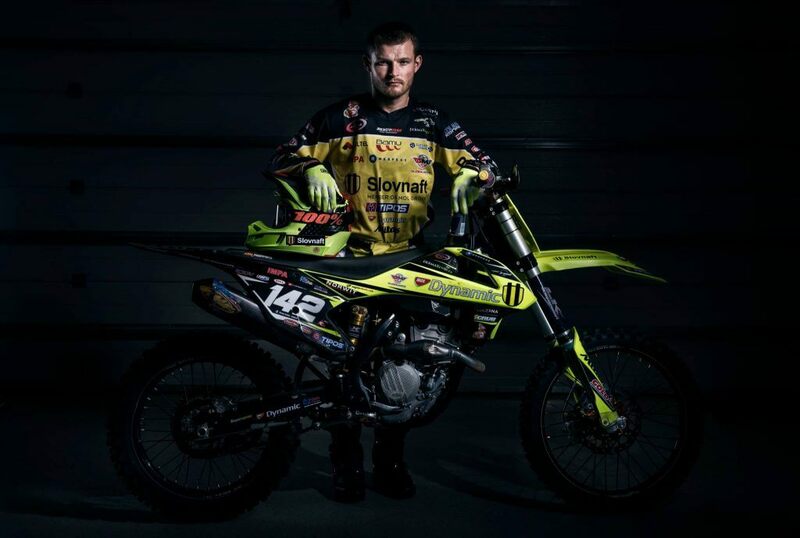 After the 70th kilometre, a rear brake hose broke (which meant a significant slowdown), the navigation was difficult – Števo took a wrong way several times and drove more than 50 km in addition, the weather was very cold and rainy, and the track was very dangerous. 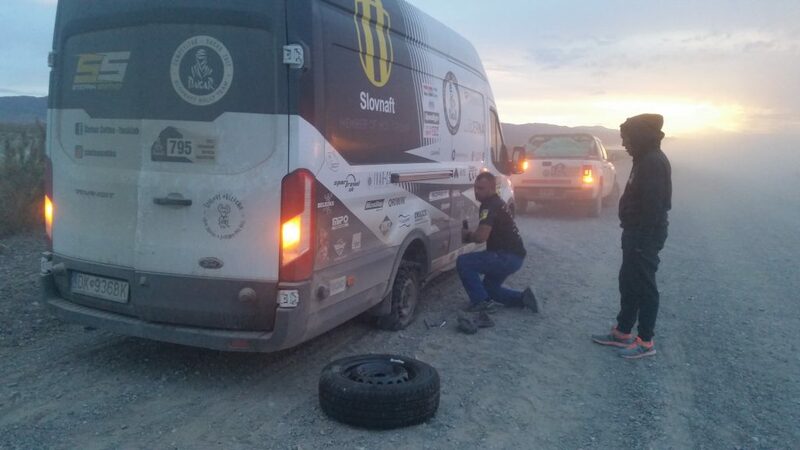 To make matters worse, 130 kilometres before the bivouac, the rally caravan serving to Števo for sleeping broke (finally, it had to be pulled to the bivouac using a rope). 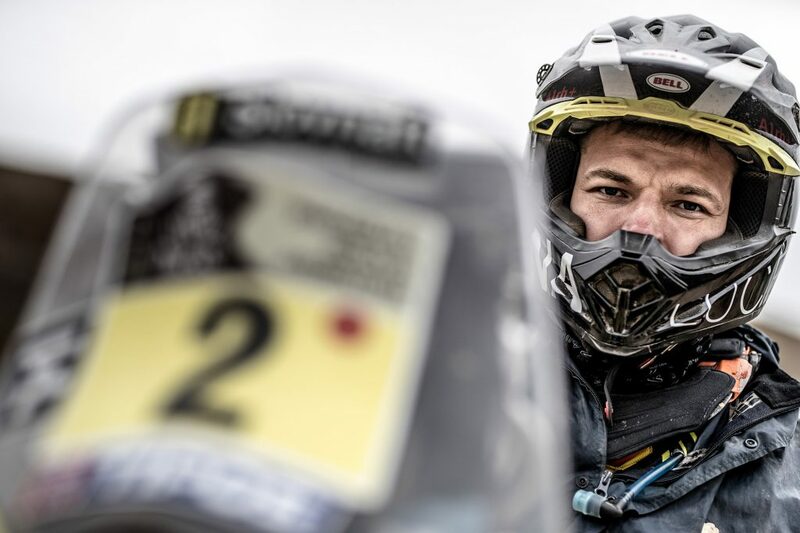 Fortunately, the second part of the special stage was cancelled due to huge storms and heavy rain. Without the rear brake, the Števo’s loss in the finish would be more significant. 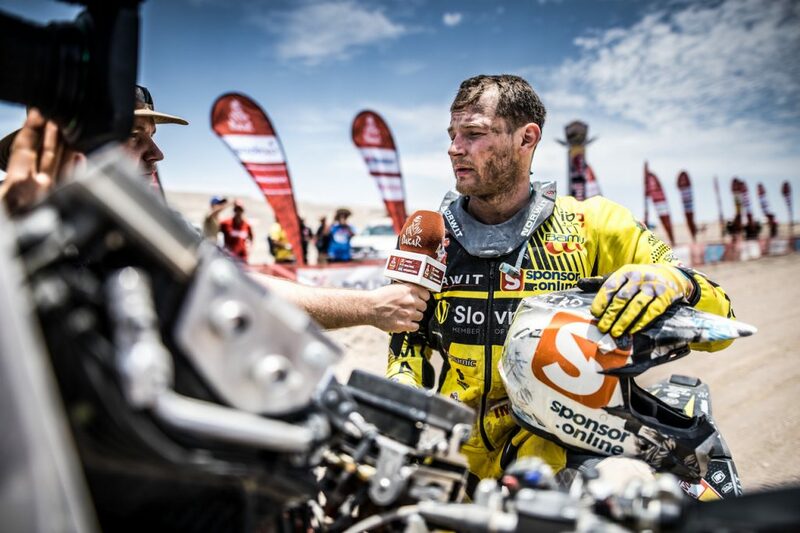 After all, Števo finished 49 minutes behind the winner and placed 39th in the stage and 19th in the overall standings. 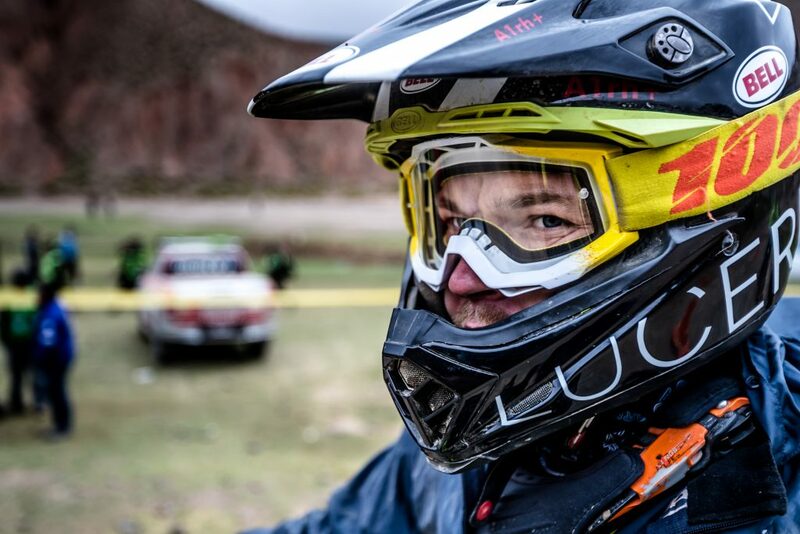 During the night, the huge storm hit the bivouac in Oruro, and it was raining heavily for a few hours – the whole bivouac was covered with 10 to 20 cm layer of water and mud. The track in the 6th stage was similar – the raised level of the rivers did not allow the crossing. In the end, the stage was cancelled. Moving on the road to La Paz had a great atmosphere. “I wish everyone to experience the journey to La Paz… the part of the road 50 kilometres long was full of people… sometimes, it was impossible to pass – such an incredible atmosphere!”. 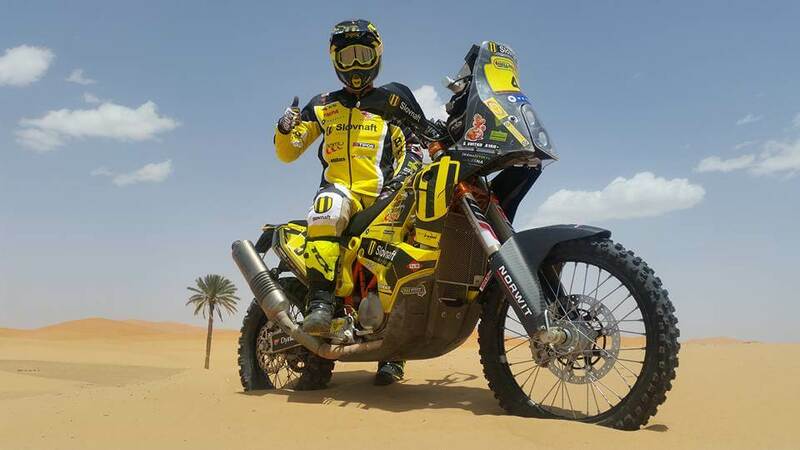 The crossing was 500 km long without any rest, and the team had a lot of work to do – to clean and dry equipment, wash vehicles, repair the caravan (again, it had to be pulled to the bivouac with using the rope), disassemble the “camp”, and maintain the motorcycle. Thank God, the next day was a rest day! 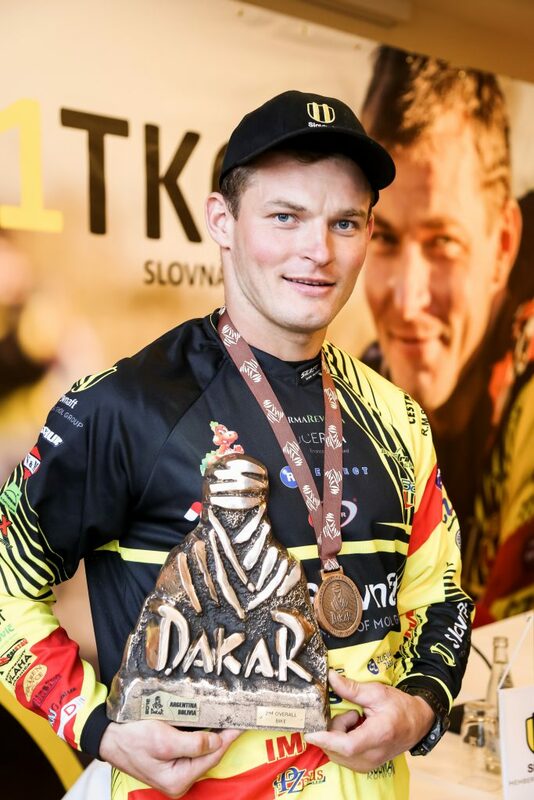 During the rest day, Števo found out the unpleasant message that he was penalized for the refuelling in the 4th stage. 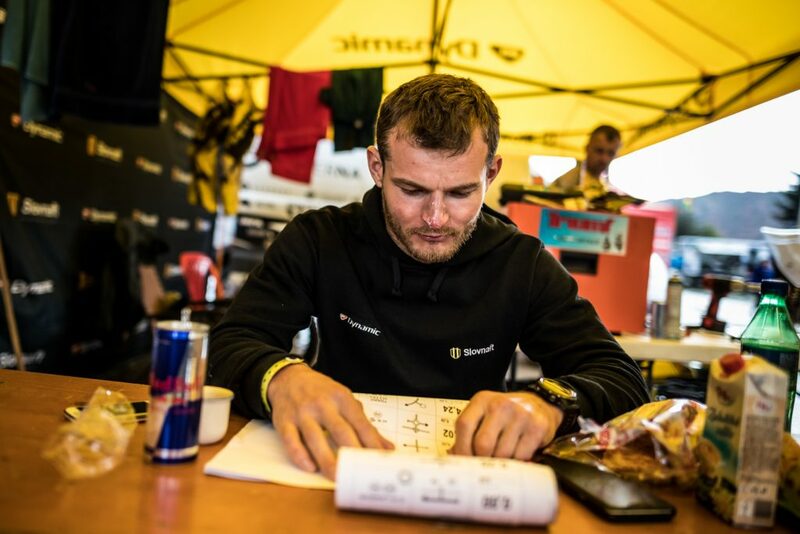 The only good news of the rest day was that guys managed to repair the caravan. 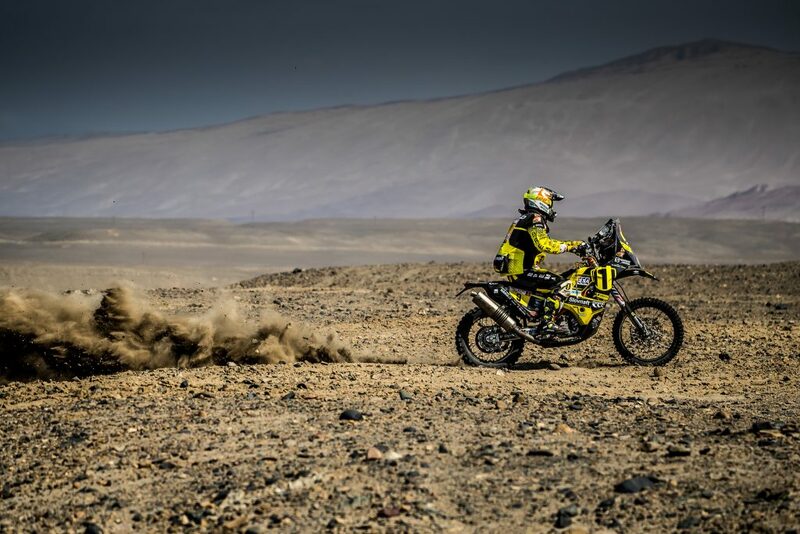 The marathon stage (there is no help from the team – riders have to help themselves, and they can only help each other) was completely changed due to heavy rain and swollen rivers. 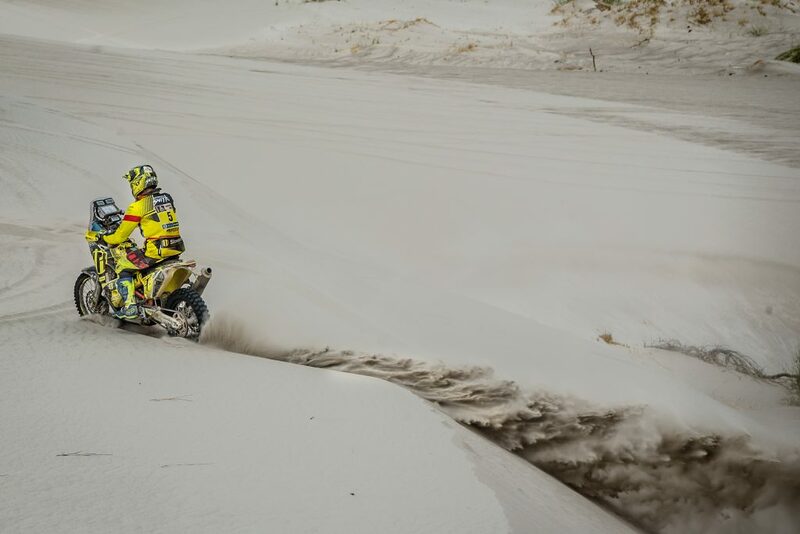 The measured part run through sand-dunes, which were planned for the 6th stage. 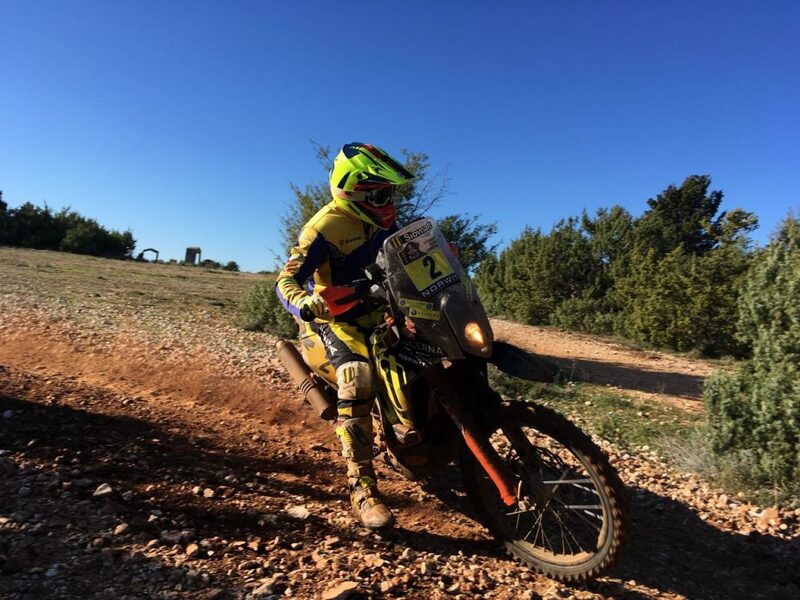 Števo had to overtake slower riders because he started from the 25th position. 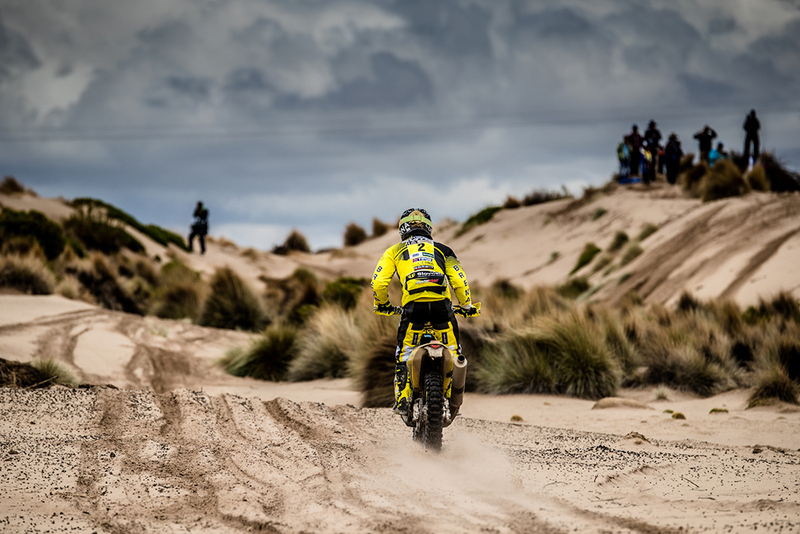 During the stage, it was raining again, the track was rutted, and therefore he was driving carefully. 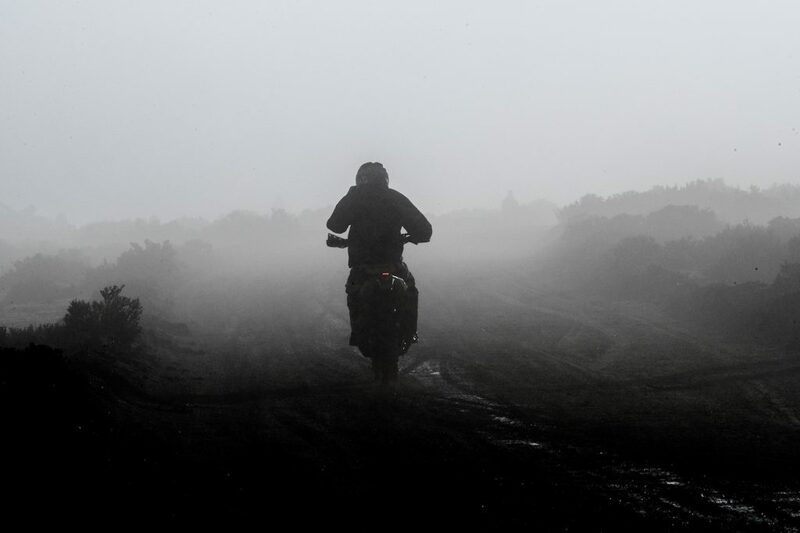 However, he had two minor falls, but fortunately without any injury or destruction of the motorcycle. 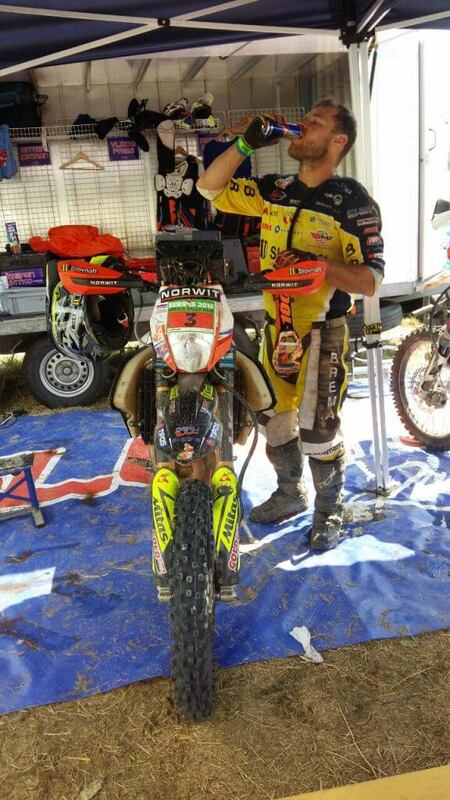 So, he did not need to repair anything by himself in the bivouac. 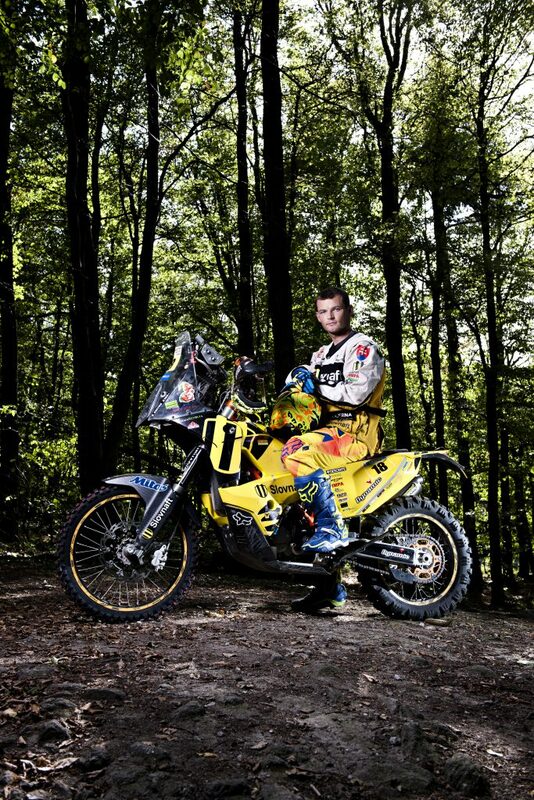 He finished with the 16th best time and moved from the 19th to 18th position in the overall standings. 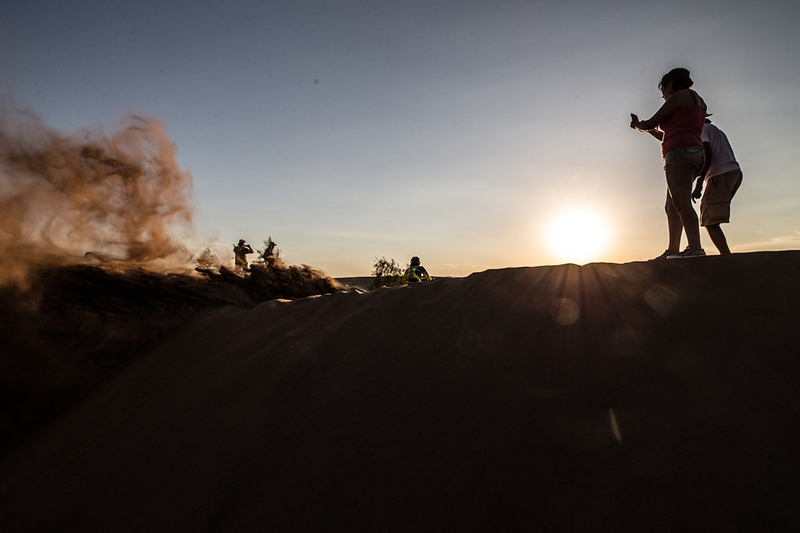 The second part of the marathon stage was very tough. 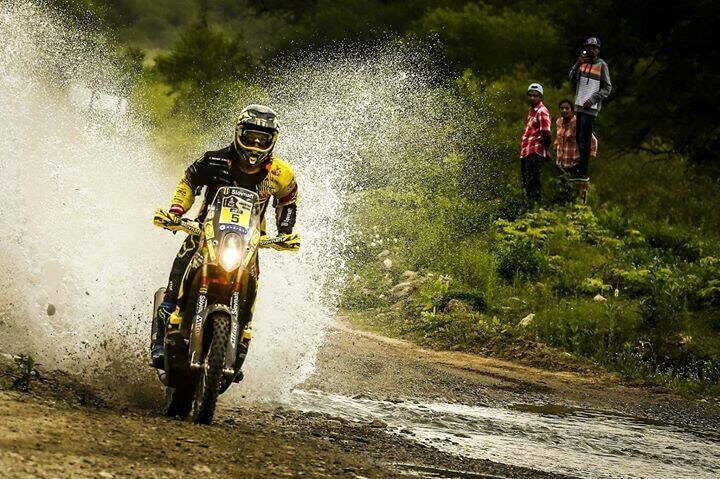 200 kilometres before Salta, there was a mud hill and the road was completely impassable. The village of Volcan was buried under the layer of the mud which reached 5 to 6 meters – there was huge material damage, and many people were injured or lost their lives. 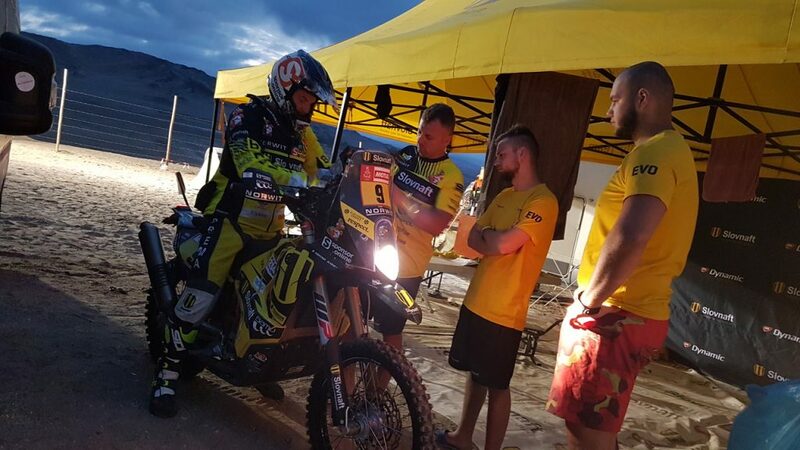 The Dakar expedition was waiting there for a long time, and using the 330-kilometre long detour, only some riders arrived at the bivouac late at night. The rest of them had to sleep in a temporary built bivouac in the town of Tilcara. 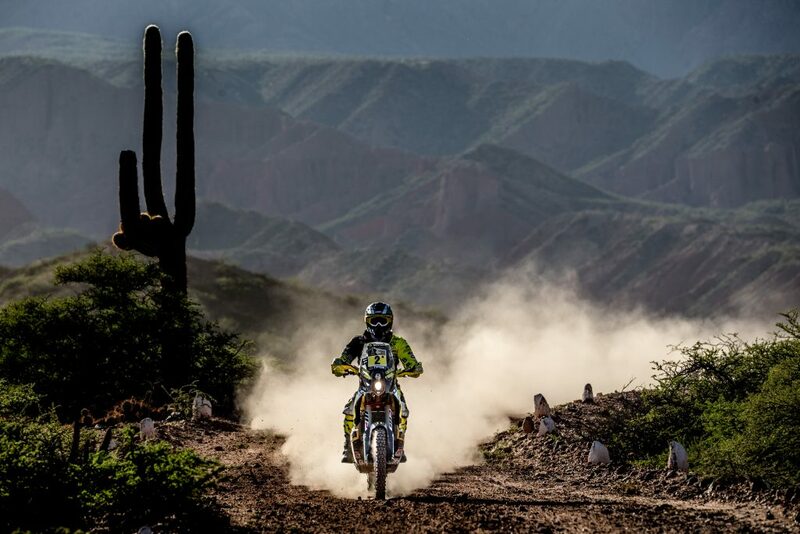 The drivers, who got into Salta, drove 1,150 kilometres that day. 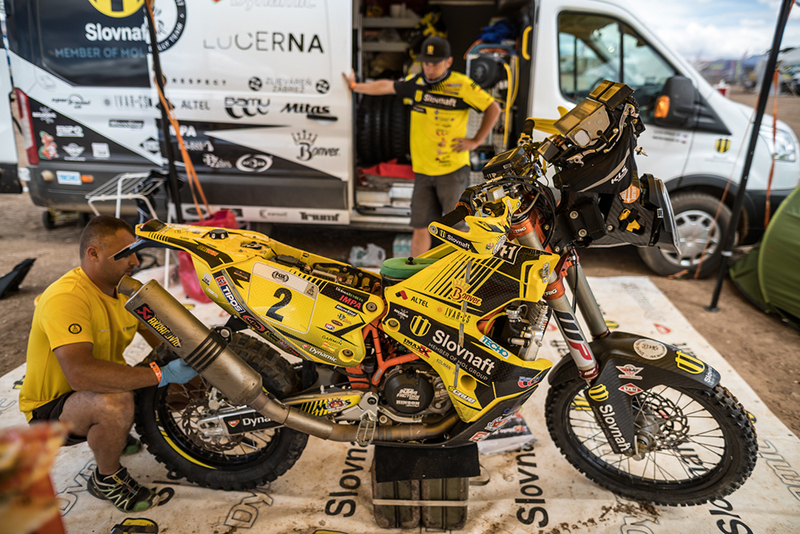 Števo reached the bivouac as the first one from the team just before the midnight, and when the service van arrived, Štefan was already sleeping with the other riders in the temporary bivouac. The caravan did not even arrive in Salta. 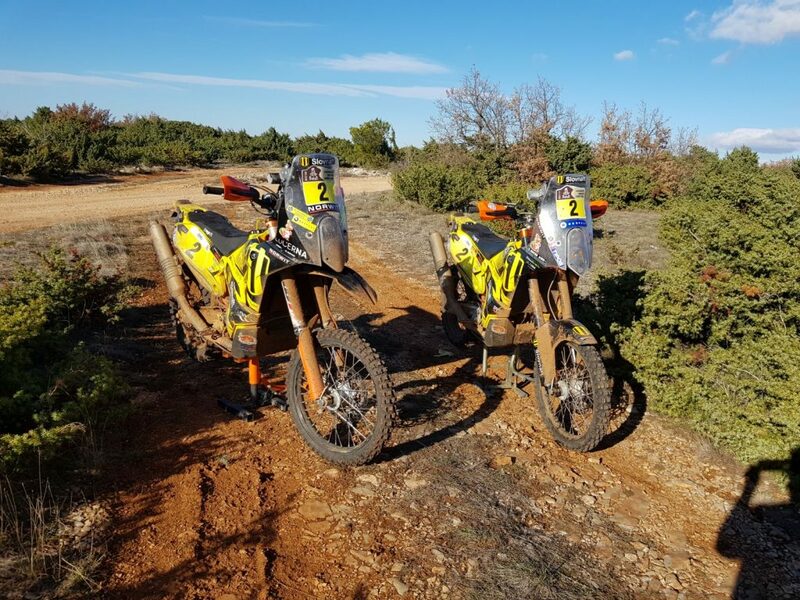 Even the special stage was impacted by the effects of the weather – the levels of the rivers raised again, and the first part of the measured section was shortened by 70 kilometres. 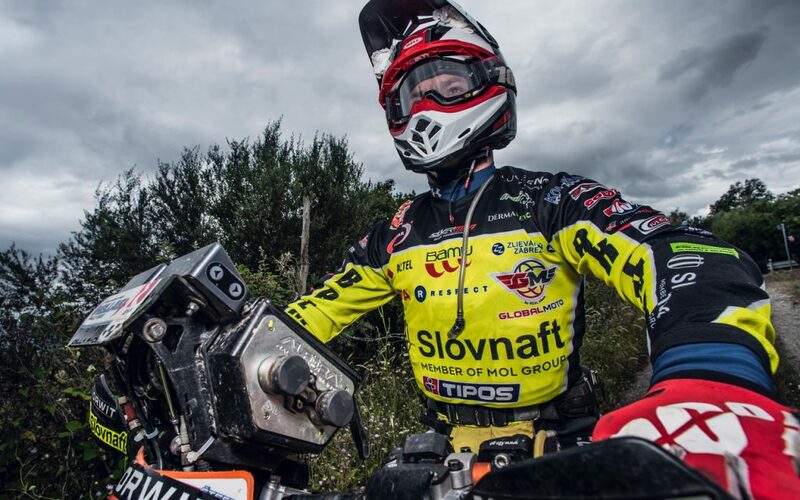 Despite the track was very dangerous and flooded with a lot of mud and water, Števo drove superbly and reached the 6th best time at the end of the first part of the special stage. 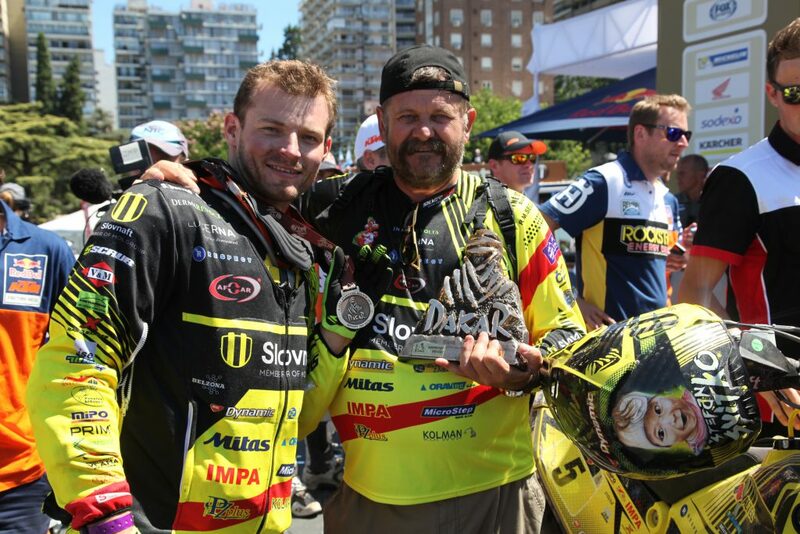 He slightly slowed down in the second, very fast, measured part, and finally, he placed 13th. 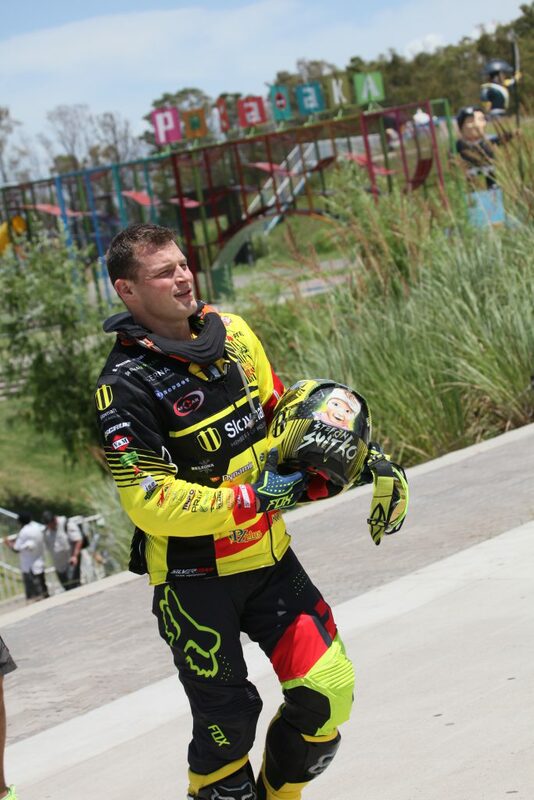 In the overall standings, he jumped again by one place higher – to the 17th position. 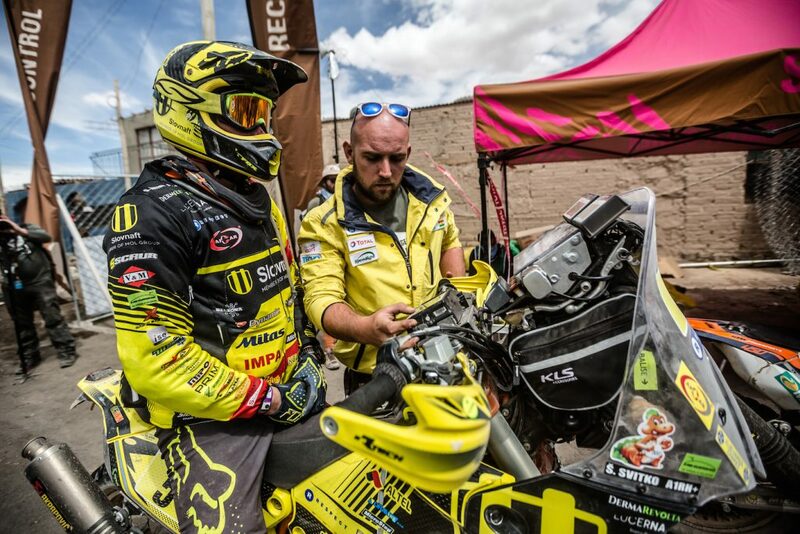 The 9th stage was cancelled because only a part of the riders and their teams reached the bivouac in Salta late at night. It was replaced by the movement on the road with a length of 750 km. 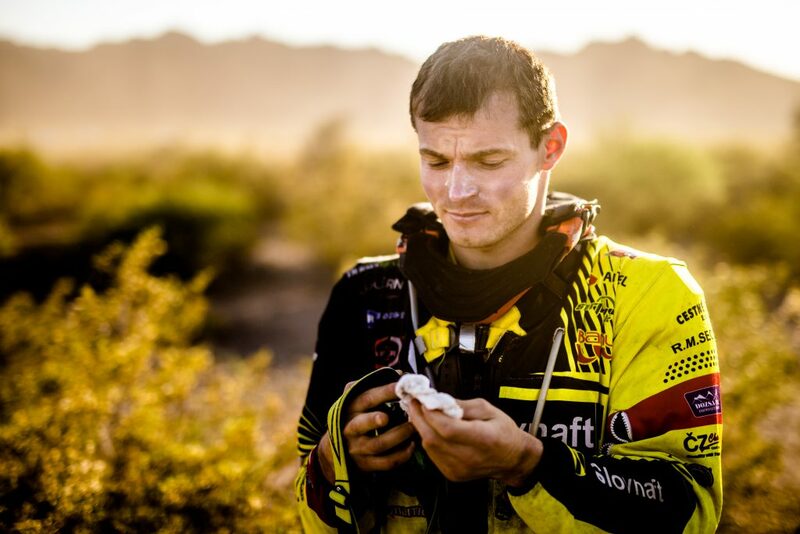 It was very tough because the riders did not have enough sleep. 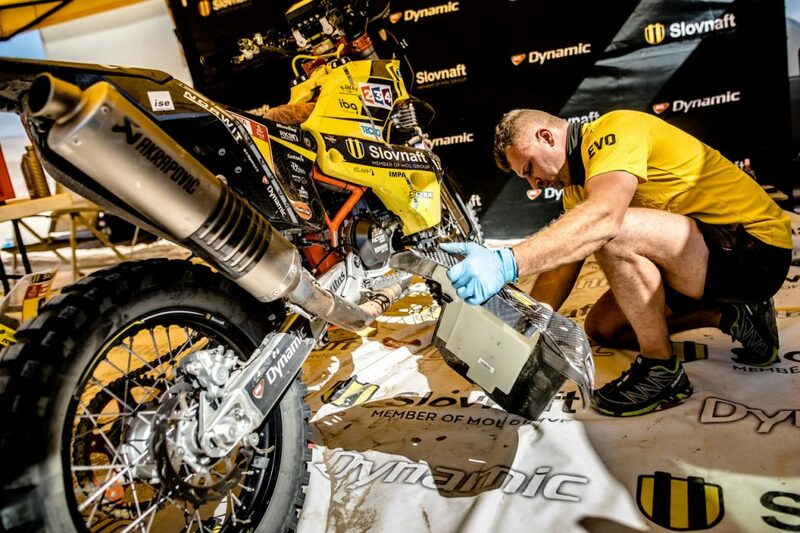 Even the service of the motorcycles was not carried out, so they had a lot to do after their arrival at the bivouac. 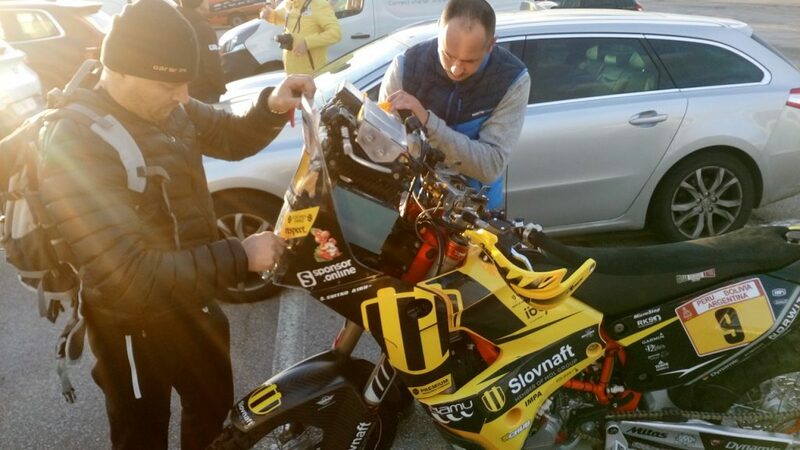 The front shock absorbers were leaking after the marathon stage, so Števo was glad that the stage was cancelled. The Števo’s caravan stayed in the temporary bivouac in the town of Tilcara overnight. During the crossing of the maintained section, it had an accident when it was getting out of the way of the fast truck and run into a big hole. The front axle and oil pan were damaged. 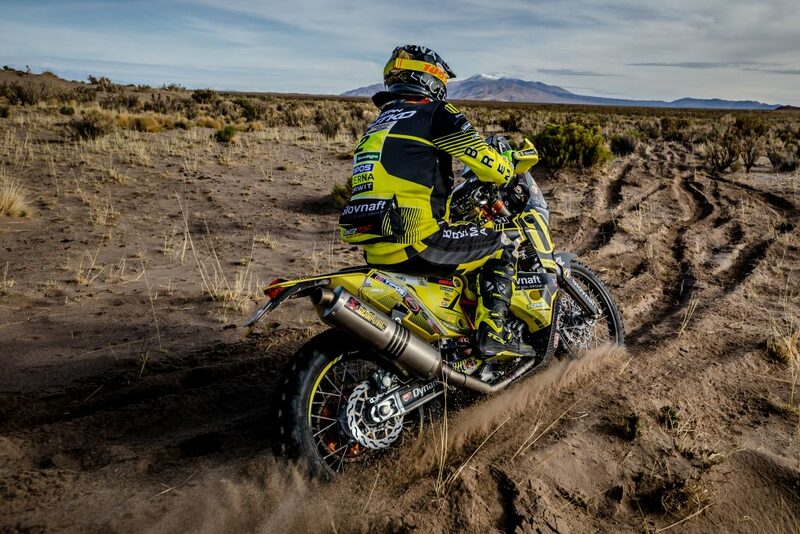 The caravan was to be dragged to Salta and repaired, but it was not until the end of the Dakar Rally.